– and an opportunity to pick up a signed copy of the “QUEEN IN 3-D” book! 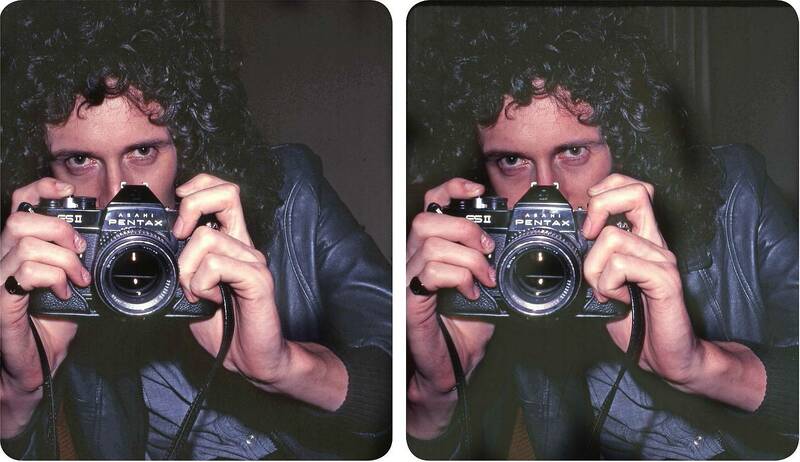 The world’s leading analogue photography company – LOMOGRAPHY collaborated with BRIAN MAY to present a new exhibition of stereoscopic prints taken from the rock star’s personal archives using the various stereo cameras from Brian’s extensive collection. These photographs document Queen from the 70’s right up to the present day and were recently brought together in Brian’s photographic autobiography, Queen in 3-D. Visitors get the opportunity to view some exclusive snapshots through the specially made OWL glasses, designed by the man himself. Copies of Queen in 3-D signed by Brian May, will be available to buy, exclusively from the exhibit. NOTE: There is no guarantee that Brian May will attend this event.